Advertiser.ie - Medical Herbalist launches online shop! Medical Herbalist launches online shop! 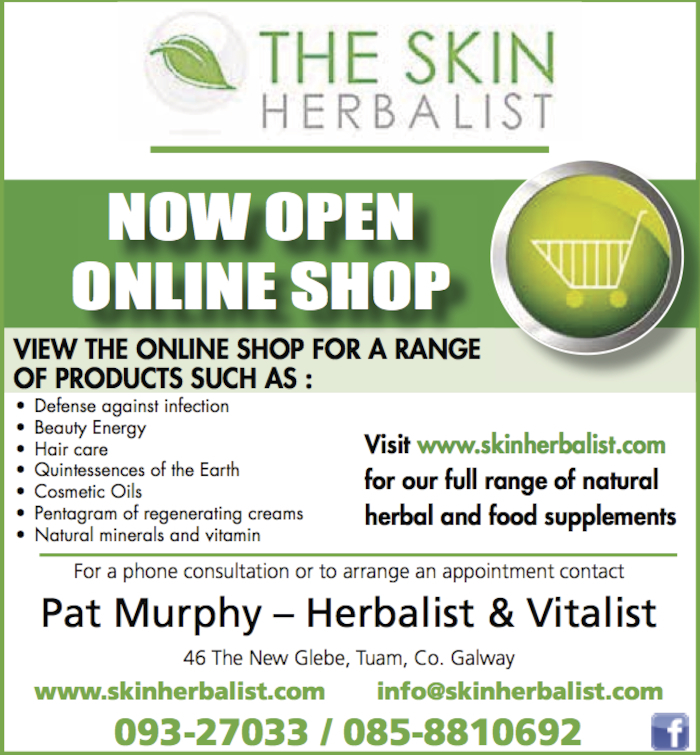 Medical Herbalist, Patrick Murphy has launched his online shop, allowing customers to purchase the business' natural herbal and food supplements at the click of a button. Established last month, the online shop was set up to cope with huge demand from customers all over Ireland, Patrick says; "We had a large demand from people who live outside County Galway. Many of them were phoning the office looking for the natural products and herbs that the business supplies. "So the idea of an online shop was the solution, making the process easier for ourselves but more importantly, for our valued customers, to purchase their selected items." With up to 70 products (approved by The Energy Board of Experts which is made up of medical consultants, GP'S, Herbalists and accredited beauty therapists ) showcased on the online shop, the business has the capacity to deliver all over the island of Ireland as well as having rights to send products to Britain. Mr Murphy, who has hosted a number of successful health screening open days throughout Galway last year and holds consultations at his office in Tuam, fully endorses all of the products that are available through the online shop. "All our natural products are based on the combination of the principles of the traditional Chinese medicine and the latest findings in the field of plant medicine. "Our current range of products represents a self-contained offer of preparations improving health and culture of a human life. It includes herbal concentrates and creams, toothpastes, cosmetics, green foods, and a number of other unique products complementing the effects of the aforementioned natural product line." To access the online shop visit www.skinherbalist.com. For more information call 093 27033, or email [email protected].